�� Flowers and Guitarist Templates for Powerpoint Presentations - A powerpoint template with an abstract background made of a guitarist and rainbow flowers. Perfectly fit for any subject related to music and happiness. This presentation template includes 1 master background and 1 internal slide. . Flowers and Guitarist Powerpoint Templates Freeppt is Powerpoint backgrounds and templates for your slide. Powerpoint Flowers and Guitarist design presentation samples A powerpoint template with an abstract background made of a guitarist and rainbow flowers. Perfectly fit for any subject related to music and happiness. This presentation template includes 1 master background and 1 internal slide. 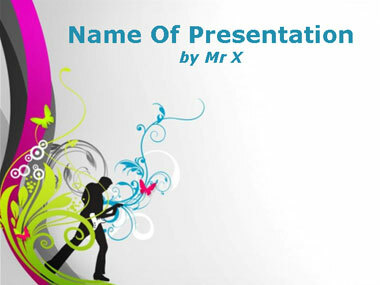 A powerpoint template with an abstract background made of a guitarist and rainbow flowers. Perfectly fit for any subject related to music and happiness. This presentation template includes 1 master background and 1 internal slide.